Sometimes a barcode just won't do for tracking your product, maybe you need RFID. Radio Frequency Identification does not require line of sight scanning & is perfect when you need to keep up with a product without seeing it directly (like in a box or behind other product on a shelf). We represent all of the major manufacturers of RFID systems & supplies such as RFID tags and labels. Active RFID systems use a tag that has onboard power. Usually a small long life battery is used to power the tag. The active RFID system provides a much larger read distance, so in location critical applications, it is your best solution. There are multiple systems out there, each with its own unique applications. To find out more about active systems, contact us for more information. Passive RFID systems use a tag that has no on board power. The electric current needed to activate the tag is generated by the radio signal emitted by the transmitter that is used to activate and read the tag. This allows for a system that requires a smaller investment per tag and greater portability. When it comes to tracking items, passive RFID offers a lot of flexibility for a reasonable investment. Consider it a step up from traditional bar code systems. If a bar code system can't track it, the next logical step is pasive RFID. 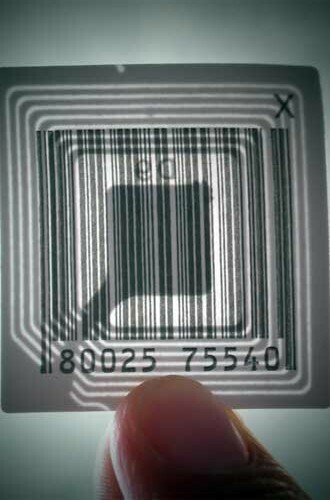 Once you have your RFID chip on your product, how do you keep up with it? Automatically of course! By placing readers with their antennas at doorways, bottlenecks & high traffic areas you read the product each time it passes a fixed location. What if you need to find your product in a large warehouse, a mobile RFID reader can help you locate your treasure. RFID tags come in many different designs. Some designs work better than others in different applications. We provide on-site testing and provide recommendations for the tag that will work best for you. Please see our "Software" page for custom RFID application options.